Enjoying the beauty of the Ardennes nature while kayaking down the Semois implies respect of this same nature. Although it’s not very changeable, the Semois has seasonal variations in flow and can even, on rare occasions, be banned from kayaking. This is why we regularly display on this website the authorization pictogram with the date and flow rate of the Semois. The flow is the speed of the river – controlled every day by the Walloon Region authorities. It greatly affects the ease of the descent, the duration of the course and also the pleasure that you will get from it. Definitely, other factors come into play such as like your experience, your physical fitness and even your weight. You are thus the only person able to know if the flow is suitable for you to carry out the descent of the Semois while enjoying it. Ideal conditions. The current helps you, the descent is very easy and pleasant. Very good navigation conditions. The trip is easy, helped by the current. Good navigating conditions. The descent is easy. However, you will have to paddle to move forward. Satisfactory navigation conditions. This means that a little more effort is needed to move forward. Depending on your size and with a little skill in choosing the right side, you shouldn’t have to get off the kayak to pull it. The Semois is not fast enough to bring your kayak: you will have to paddle to move forward and probably get off the kayak once or twice to pull it. Your size, your physical condition and even your experience will be decisive to get all the expected pleasure. This is the lowest limit of navigation on the Semois – at less than 2.2 m3/sec you can not board. 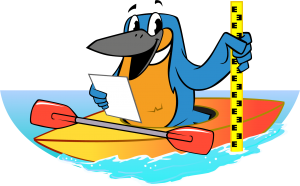 Expect a sporty course: it will take a lot of paddling to move forward and getting out of the kayak several times to pull it. To truly appreciate it, be careful not to overestimate your strengths or experience.